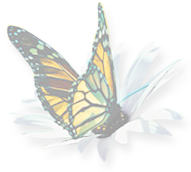 Welcome to the Marlborough Psychotherapy and Counselling Services website. My name is Suzie Morrell and I am a professionally trained and experienced psychotherapist and counsellor working in private practice in a quiet, relaxed and confidential setting in central Blenheim. welcome. I do not work with children or adolescents (under 18). I prefer to work with people who have a regular, local doctor (GP) and who have the support of either family or friends. I am unable to work with people who knowingly use alcohol or drugs as self-medication. However, I can refer to other professionals where appropriate.